NIH Director Dr Francis Collins’ latest blog post focuses on recent advances in age-related macular degeneration (AMD) research. 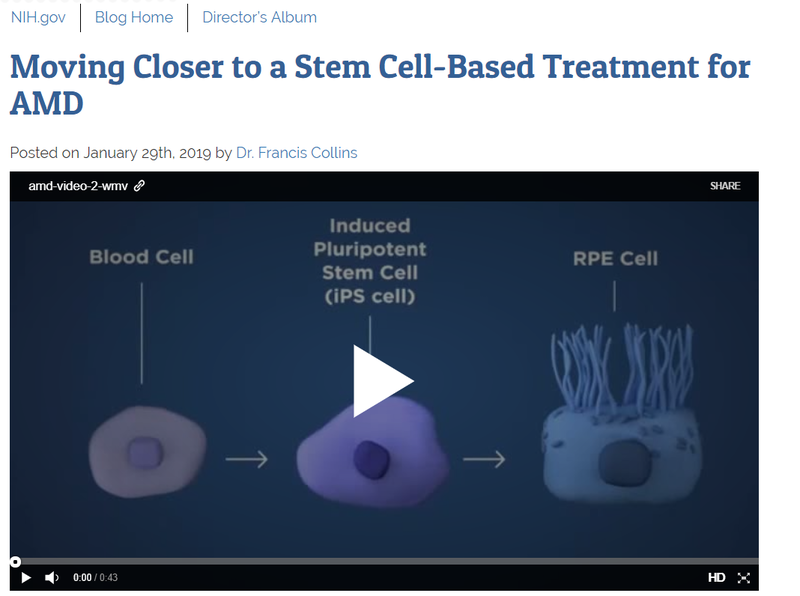 He discusses new work by researchers from NIH’s National Eye Institute using induced pluripotent stem cells (iPSC), a type of stem cell that researchers can direct to develop into a variety of cell types, including cells that form different parts of the eye. The blog is accompanied by a helpful animate video that explains the science.